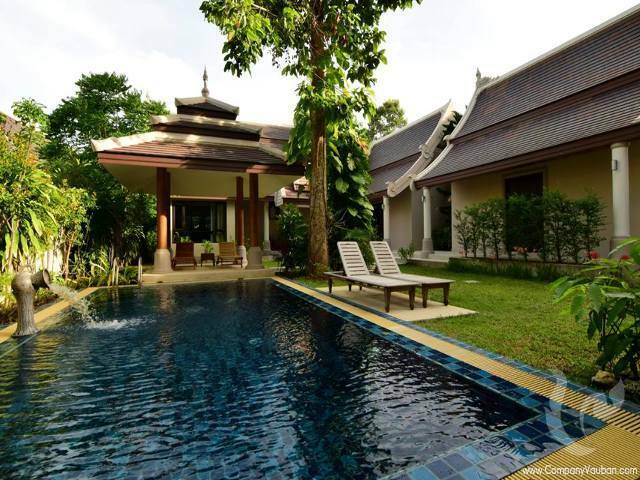 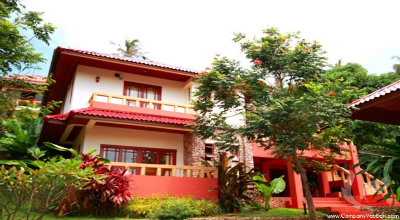 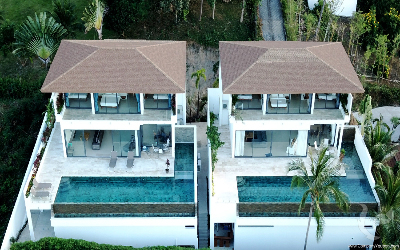 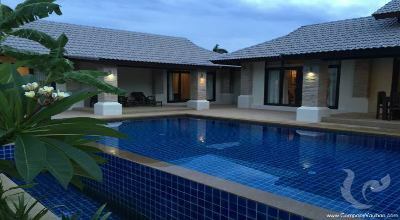 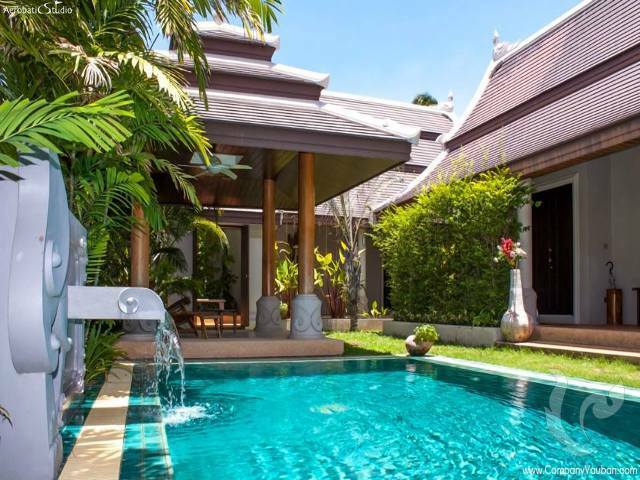 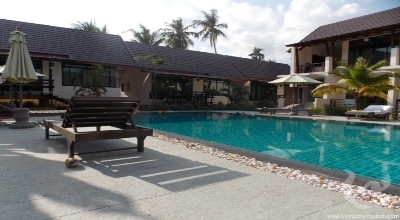 Three luxury private villas located in the tranquil area of Koh Samui, situated just off the coastal road in Bang Kao. 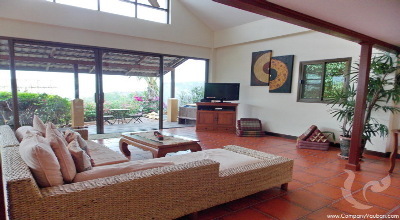 Only 100 meters from the beach. 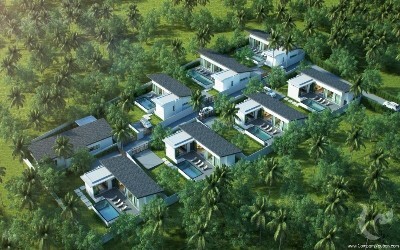 Each villa consists of 3 - 4 pavilions set around its swimming pool and shaded by a lush tropical garden. 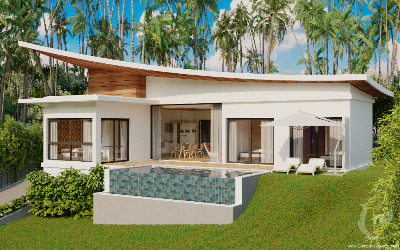 The villas is exclusive individually designed 'made for me' homes. 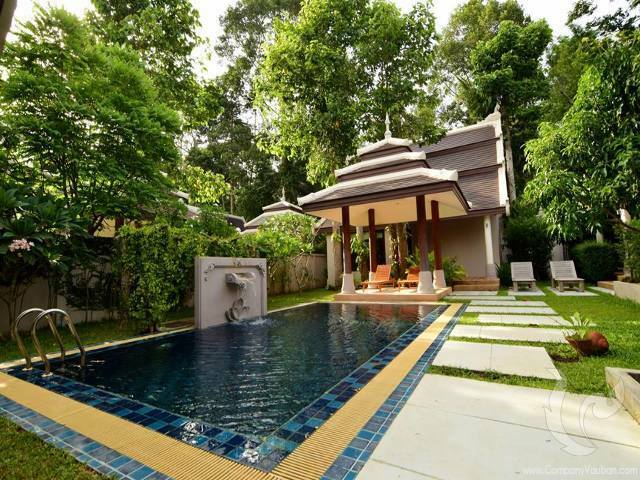 Landscaped gardens with water features and big trees. 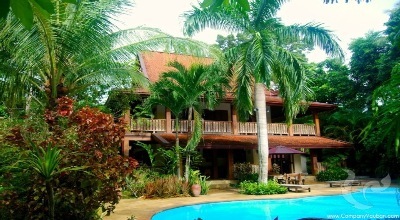 Carved hard wood. Artis-tically used terrazzo designed bathroom. 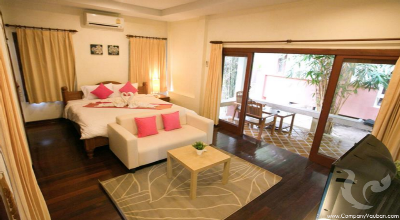 All neatly furnished and waiting for you.